We call our guided trips to Kenya Imprint Adventures. These experiences connect you to the culture, people, and land of Kenya through affordable and meaningful travel and service. This is not a vacation. It is an opportunity to make an impact in the lives of other human beings, to see the world through a new lens, and to savor the richness that Kenya and its people have to offer. Join us as we explore Kenya in a way that few travelers experience. This trip will take you to different towns and villages across the country where you'll engage in meaningful exchanges with Zawadisha's micro-loan recipients. We'll dedicate time to understanding the culture, the people, and the landscape. Our work in the field is different on every trip, and driven by the needs of the organization and the women we serve. No two trips are alike, but we are confident that your time will be well-spent. You will leave feeling inspired and motivated to create change in your own community. This trip includes a 2-night, 3 day safari in the famous Maasai Mara, as well as visits to some of Nairobi's most interesting sites. Airport transfers, lodging, meals, accommodation, and activities are included. Our next trip is scheduled for July 2017. This tour is $3000 per person, not including airfare, immunizations, or compulsory travel insurance. For more information please contact us. People. Profit. Planet. Our goal is to design tours that are truly sustainable. Solar powered accommodations, locally sourced food, local guides, and a commitment to community are a few examples of how our tours are sustainable. You must have a current passport, with at least two blank pages, that will not expire in less than 6 months from your travel date. All visitors are required to obtain a visitor’s visa upon arrival; the cost is $50 and you must have cash, in American dollars, upon arrival at the Jomo Kenyatta Airport . Individual travel insurance is required and you must show proof of purchase before departure. You can easily obtain travel insurance when you purchase your plane ticket, often times for less than $100. We require all of guests to sign waiver forms, which will include forms both from Imprint and our in-country partners. All guests must also complete a medical form. You can access all of these forms here. We highly recommend that you visit your primary care physician or a doctor who specializes in international travel vaccinations at least two months prior to departure. Up to date information on vaccines from the CDC can be found here. The US has issued a travel warning for Kenya and restricts travel to the Eastern region of the country. The good news: we’re not going anywhere near there! Although there have been a few incidents in Nairobi, they have been infrequent and not in areas that we will be visiting. We also will be staying in gated compounds. You can find up to date information on Kenya and information on the US Smart Traveler Enrollment Program on the Kenya at the US State Department website. Kenya has three seasons: heavy rain, light rain, and no rain. We schedule our trips during the "no rain" season so expect warm and dry days, with cool nights. Pack light clothing with a few layers for the evenings and bring a raincoat just in case. ATMs are the best way to access your funds and reduce the amount of cash you carry. With that said, cash is king and traveler's checks are not accepted at banks. Businesses, banks and individuals also will not accept bills less than $20 or older than 2001. The unit of currency is the Kenyan shilling, which is made up of 100 cents. Currently the conversion rate is approximately KSh 85/$1. All guests must book their own flights. We are happy to work with you to find the best flight based on your departure city. Please note that the cost of each trip does not include airfare. 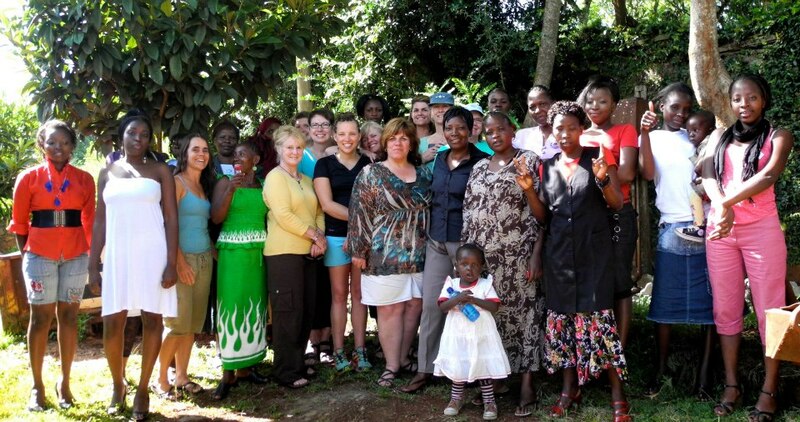 Revenue generated from our trips support Zawadisha's micro-lending program in Kenya. We sincerely hope that you to form a deep connection with the people and the land just as we have. We are committed to providing affordable trips to connect you with our work Kenya. Because we keep our costs at a minimum, we ask that each trip participant make a voluntary donation to Zawadisha. Payment plans are available for all trips. A $500 non-refundable deposit is required to secure your spot. Please contact us for more information. 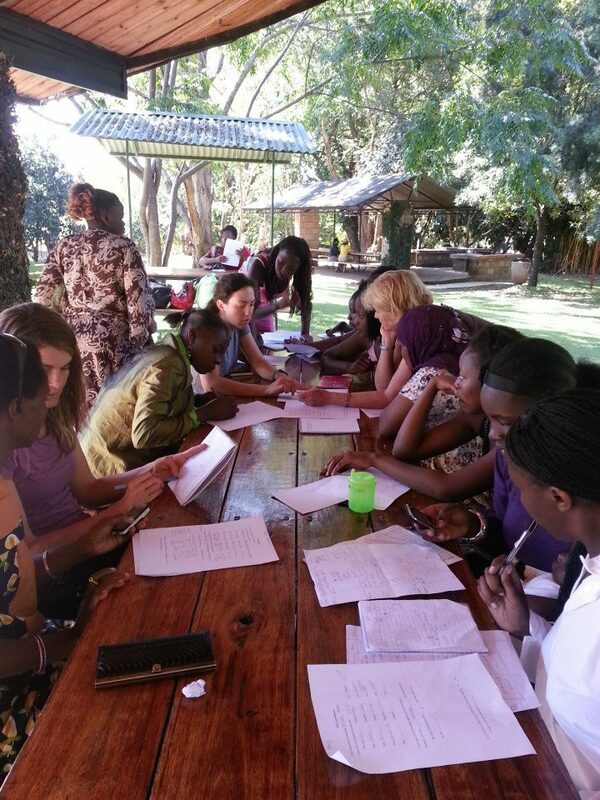 Jen Gurecki's journeys in Kenya began in 2005 as a graduate student conducting research on the socio-cultural barriers that women face in society. 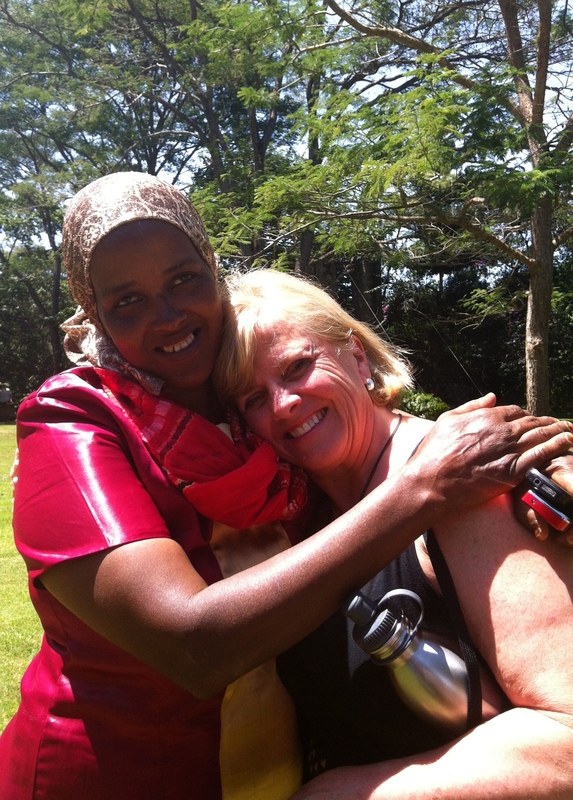 Her research inspired her to create Zawadisha, and she has since returned to Kenya many times to work with Zawadisha’s members, to white water raft, and to summit Mt. Kenya. She has forged strong relationships and works exclusively with Kenyan companies and organizations to ensure that Zawadisha trips are truly supporting local Kenyans. She has 10 years of experience guiding commercial and educational wilderness trips, holds a current Wilderness First Responder Certification, and has an extensive background in group facilitation and risk management. Jen currently is a PhD candidate in Sustainability Education at Prescott College and brings an incredible wealth of knowledge about women, poverty alleviation, the outdoors, and Kenya to our tours. Kenya was colonized by the British and obtained independence in 1963. Nearly everyone speaks English, and although we perceive their accents to be thick (as they do ours), communicating is relatively easy. Kenya is known for being one of the most corrupt countries in the world, and as such, we ask that you do not pay or give money to anyone. However, the people are warm, friendly, inviting, and polite. But as in every city in the world, we advise that you don’t respond to cat calls or solicitations. Be prepared to exist on “Africa time,” which can include long waits, late starts, and occasional discomfort (although we will be working diligently to mitigate all of these issues). Please note that nearly everything on these lists can be purchased in Nairobi. Clothing: Think easy to wear, easy to wash, comfortable clothing that can be layered for cool mornings/evenings and hot days. Please do not bring expensive jewelry or clothing, excessive luggage, or traveler’s checks. No low cut blouses or short skirts or dresses. Kenyans dress up and we tend to look like we rolled out of bed. Keep that in mind when planning your outfits. For your convenience, all of our liability release, medical, and flight status forms can be downloaded here. Each form listed below is compulsory in order to participate in all trips. Just click on each link and you will be able to download the form. We thank you for completing all forms at least one month prior to departure. Completed forms can be mailed to Zawadisha, PO Box 1517, Truckee, CA 96160 or e-mailed to jen (at) zawadisha (dot) org.